Adding on to your home requires a General Contractor with the attention to detail and experience to complete the addition you imagined. Holp Construction & Design gives you double for your money with “Team Holp”. Terry has over 20 years experience in remodeling and new construction and his wife and business partner April has over 10 years in project management and design. Together with our full team of skilled subcontractors we will design, manage and build the addition of your dreams. 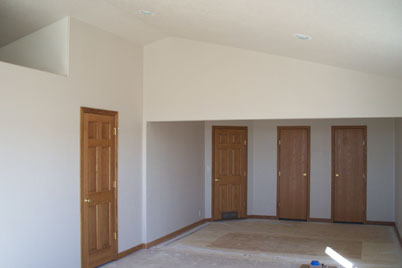 Start by deciding what type of addition will best suite your homes layout and your comfort needs. Write a prioritized list of needs and wants for your project. Look at magazines and websites to collect pictures of elements and designs you would like for the interior/exterior of your addition project. The more clearly you can envision your project the better prepared you’ll be in making your decisions. Think about rooms size, flooring, paint color, and lighting. 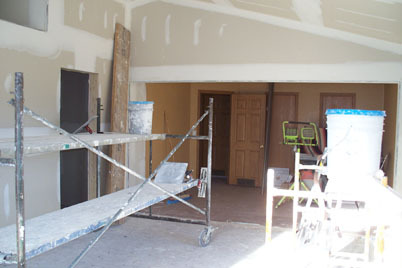 Try to imagine how you will use this new space and if you would like it to have any special features or accommodations. You may also want to update or improve your homes efficiency by replacing windows and doors, upgrading heating and cooling systems, adding insulation, egress windows and/or other remodeling to make the home more energy-efficient, easier to maintain, and comfortable for your family. Going online to investigate national remodeling cost averages, can be helpful in getting a realistic idea of what your room addition project may cost. This is something we will discuss as we look at your needs and wants for your addition project, we call this budget qualifying. Budget qualifying will help us both know if we should continue forward with the estimate/bid stage or if additional time is needed to work towards your project goals.